Brotherhood for the Fallen was established in March 2010. Our mission is to honorably attend the services of Fallen Officers across the country who have made the ultimate sacrifice, giving his/her life during the performance of their duties, by providing safety for the citizens of the United States. 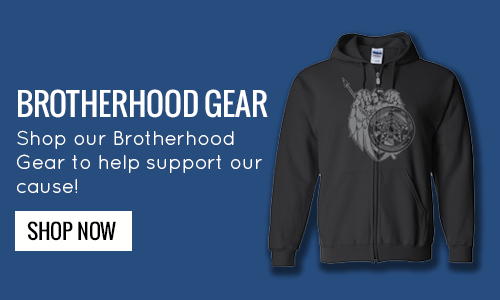 Support fallen officers across the country by donating to the Brotherhood For The Fallen. The Brotherhood for the Fallen honorably supports the families and departments of police officers that have been murdered in the line of duty across the United States. If you have any questions about membership or donating to Brotherhood For The Fallen, please don't hesitate to contact us!